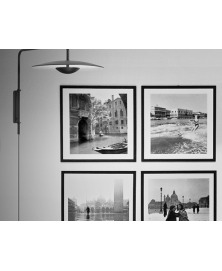 - Spring 1948, two lovers on a boat tour. - Summer 1954, water skiing in the lagoon. 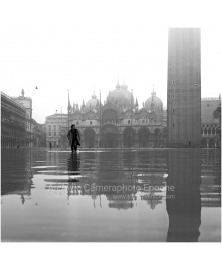 - Autumn 1966, high tide in St Mark's square. 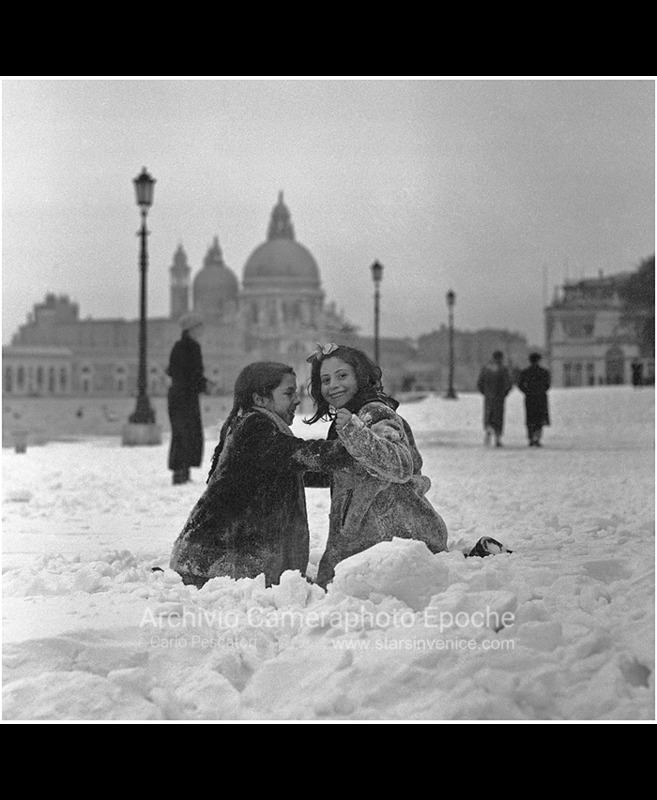 - Winter 1947, little girls play in the snow. 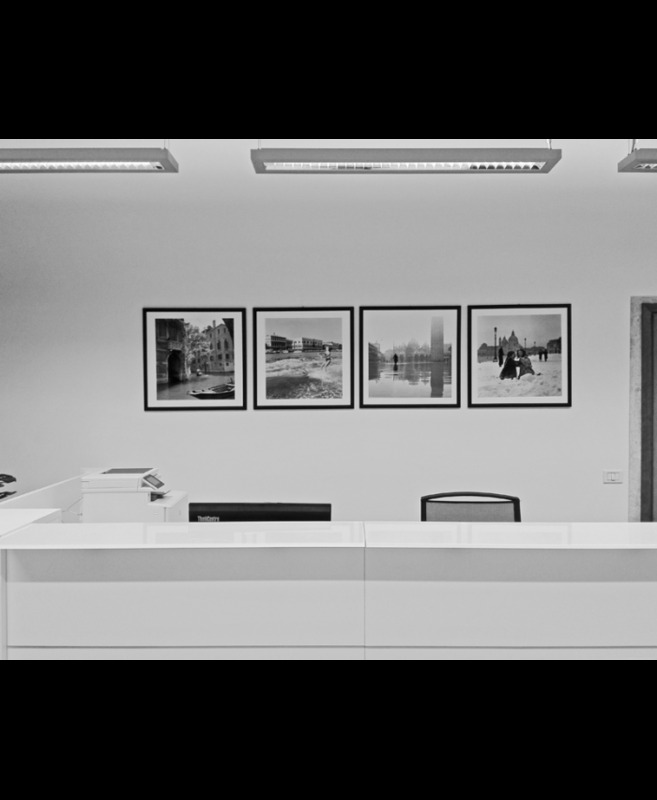 VENICE SEASONS: this is a collection of 4 classy prints for all lovers of Venice, recalling how quiet and silent it was before crowds of tourists discovered it in recent years. 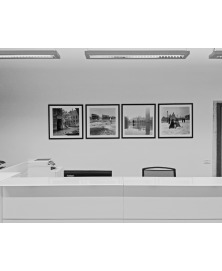 Please note that this is the ONLY place where you can find this item! 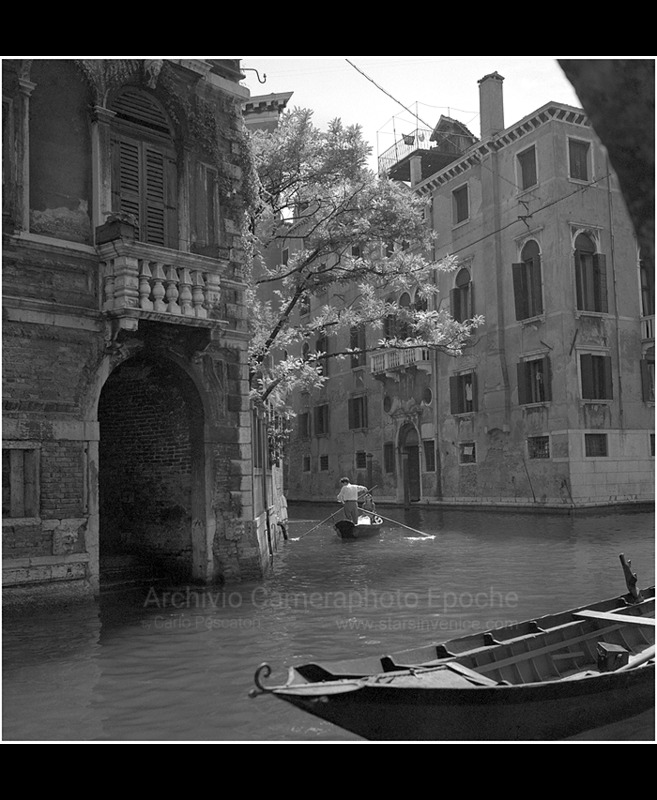 Spring - 1948: a young man takes his loved one out on a boat tour. 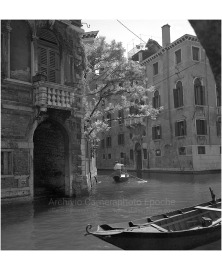 Venice Castello district, Rio del Pestrin canal. 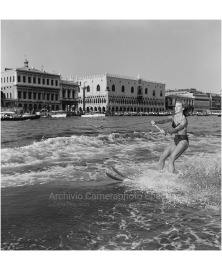 Summer - 1954: Anna Maria Benvenuti, wife of car designer Franco Scaglione (Lamborghini, Maserati, Alfa Romeo 33), water skis in the St Mark’s basin. 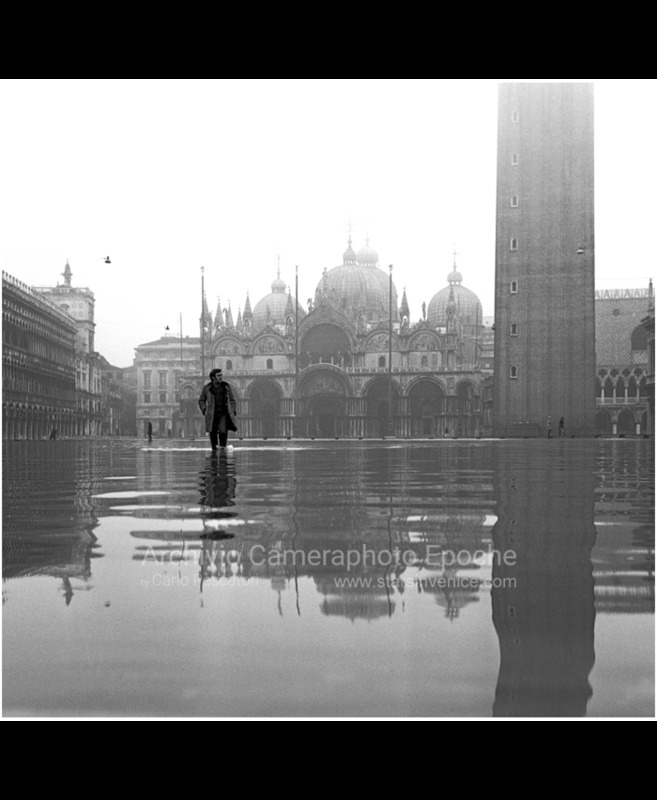 Autumn - 1966, November: a man walks in St Mark’s square after the Venice Flood. 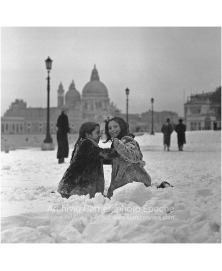 Winter - 1947: little girls play in the snow on Riva Schiavoni in front of the Giardini Reali. 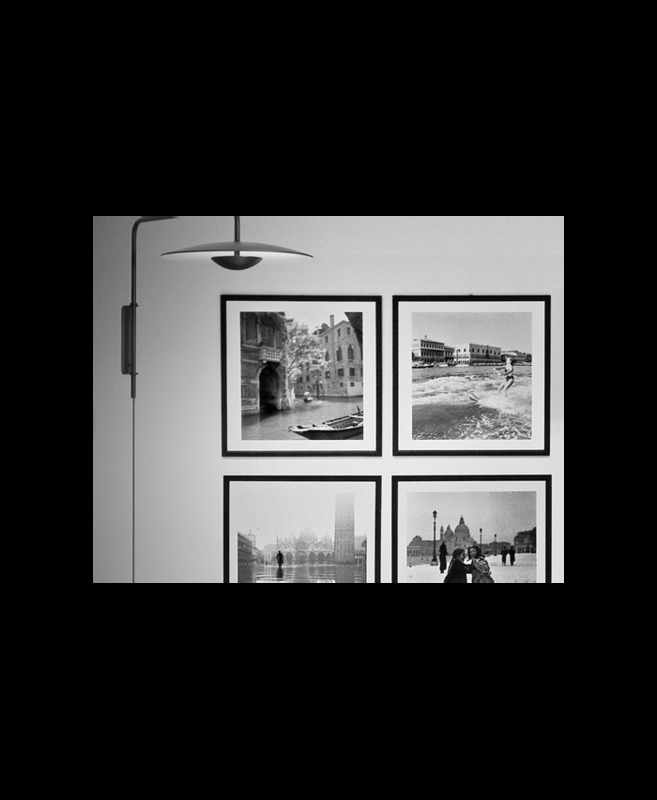 Please read the Appearance/Mounting section on our Print Details page: you'll receive 4 almost square images printed on rectangular paper sheets; white margins will have to be cut for square framing.